Let no law come between a boy and his pig. 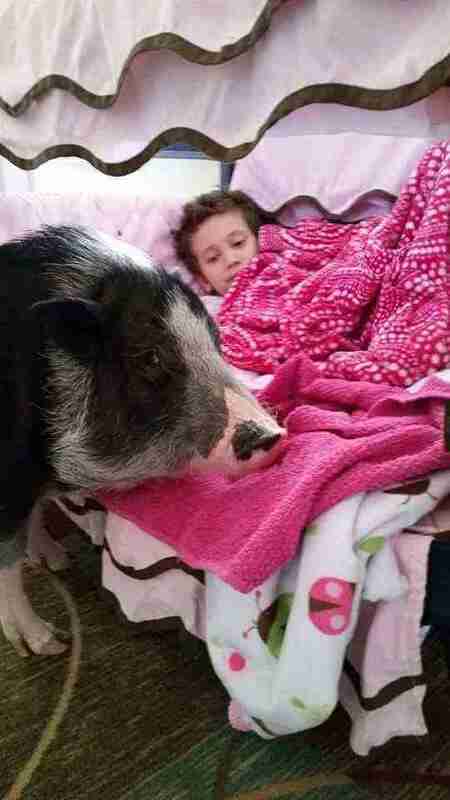 Especially when she's a pig named Maggie giving life-changing emotional support to a boy with Asperger's syndrome. 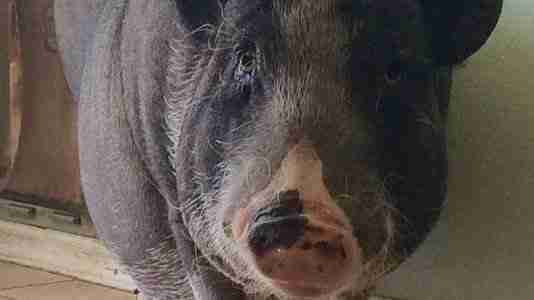 At least that's what a family in Chandler, Arizona, is hoping, after officials ordered 9-year-old Julian Gil to surrender his stalwart sow. Citing a law that makes it illegal to own "livestock" in a residential area, the city is giving Gil ten days to say goodbye to his best friend. Separation would be devastating, Arlene Gil, Julian's mom, tells The Dodo. "She makes me happy," he told her recently. "More happy than if someone gave me a flower.'' Maggie and Julian even star on their own Facebook page, with nearly 2,000 people following their adventures. 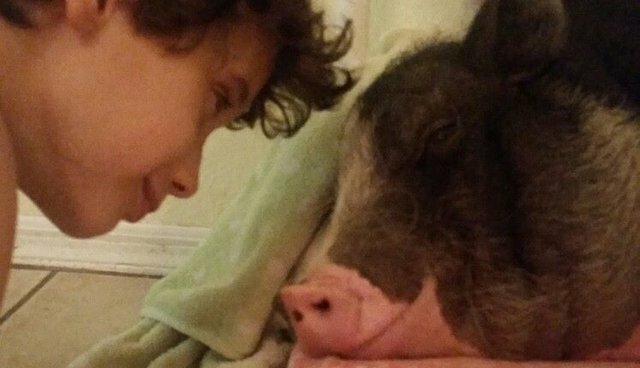 Arlene Gil wants Maggie, a pot-bellied pig, deemed an emotional support animal. "We would not be looking to put her on a plane or anything," Arlene explains. "Just keep her at home, which is [Julian's] safe place where he can relax and unwind from the sensory overloads he experiences during the day at school." It seems a few thousand people agree that Maggie and Julian deserve to be together. A petition at Change.org has collected more than 4,000 signatures, demanding the city reconsider its decision. Maggie, her supporters say, is not livestock. She's a family member. Even more importantly, she provides essential therapy to Julian. "I have been so heartbroken," Arlene Gil says. "But all the wonderful people who have held out a supportive virtual hug have been great." 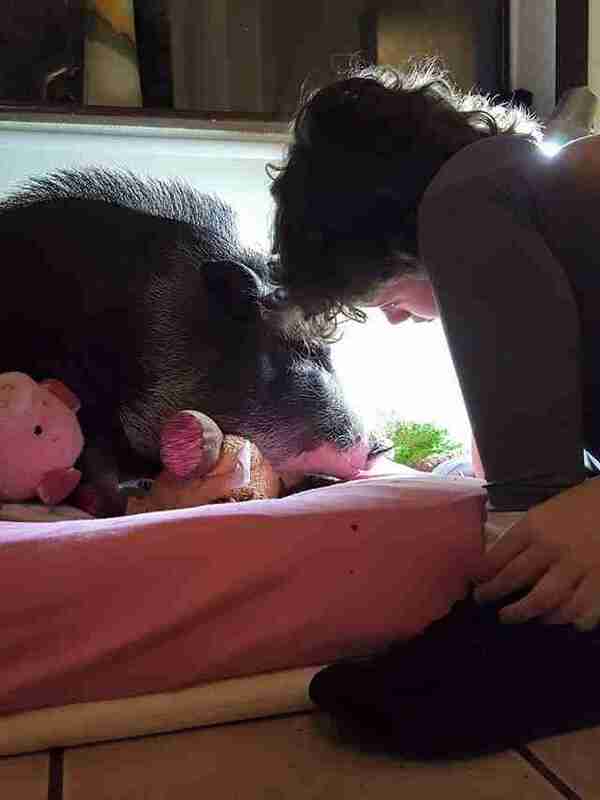 This pig could teach us a lot about friendship. Want to help? Sign the petition calling for Julian and Maggie to stay together. The Gil family is also urging people to write to the township directly.